The practice uses cutting edge software which enables us to have a paper free record of all patients. 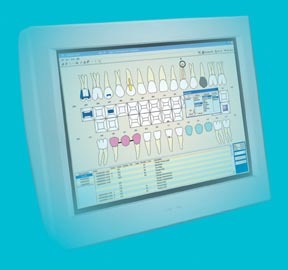 This allows us to merge all digital x-rays, photos, medical history and dental history into individual patient files. It also helps us to communicate dental procedures to the patient through video link on our chair mounted flat screen monitor.